Butterflies have been recognised by the government as indicators of biodiversity. Their fragility makes them quick to react to change – so their struggle to survive is a serious warning about the health of our environment. This is why the Bishop’s Meadow Trust is working so hard to restore the flower-rich hay meadow. There are a wide variety of butterflies on the Meadow. 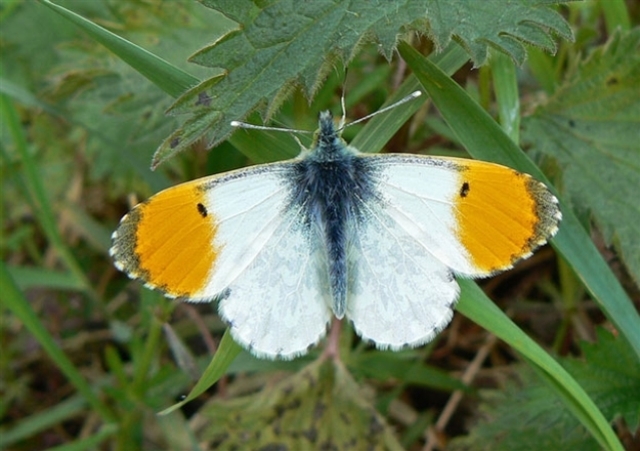 Two are pictured below (Orange Tip and Peacock) but take a look when you are on the Meadow and see what else you can spot!